The newly announced Firefly Loyalty Program rewards returning fans with the first chance at passes for Firefly 2019, exclusive pricing, and many more surprises! 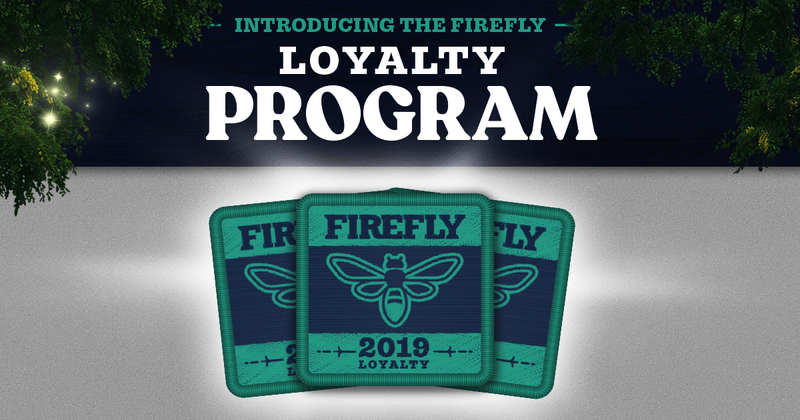 All who have previously purchased or registered a wristband qualified for the 2019 Loyalty Program, and the Firefly 2019 Loyalty Presale that took place on November 16, 2018. In the future, registering your wristband will qualify you for the Firefly Loyalty program. More details about the Firefly 2019 Loyalty Program are coming soon!